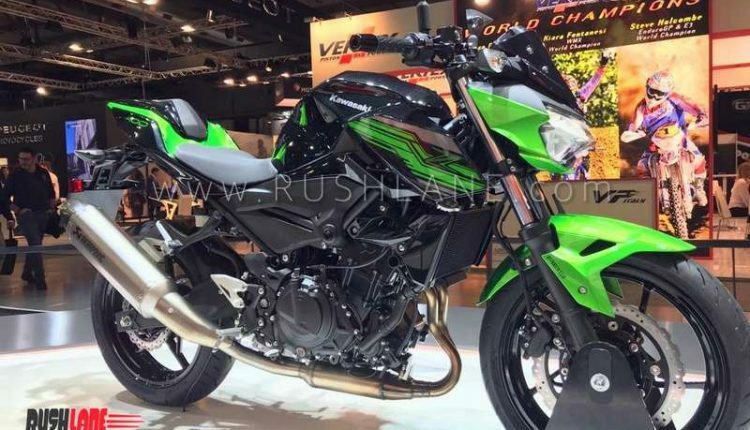 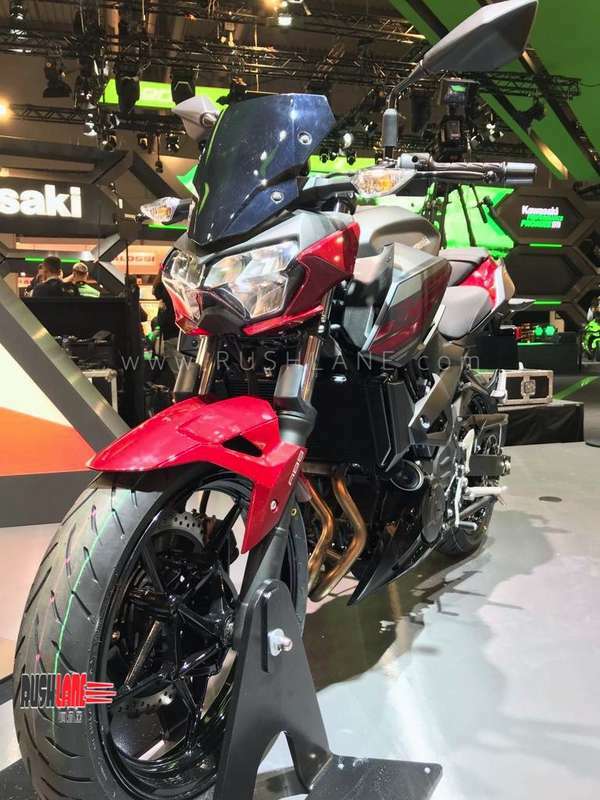 The new Kawasaki Z400 borrows styling cues from the Kawasaki Z1000 and shares chassis, engine and other mechanics with the Ninja 400. 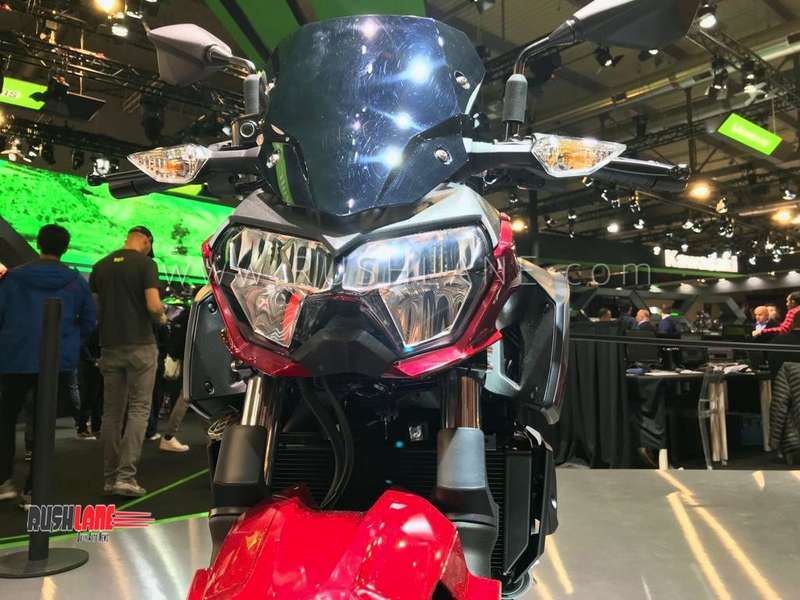 Kawasaki has a host of new motorcycles on display at the 2018 EICMA Show that just opened its doors earlier today. 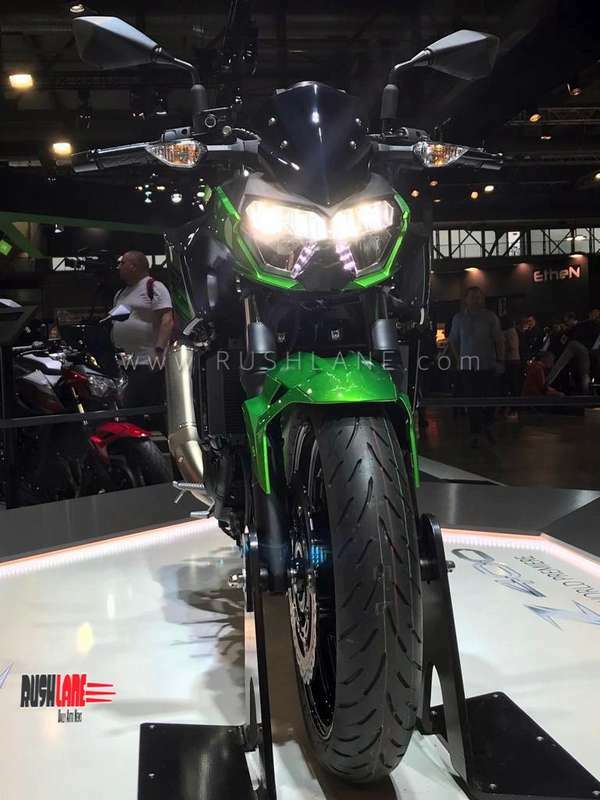 The show will run till 11th November in Milan Italy. 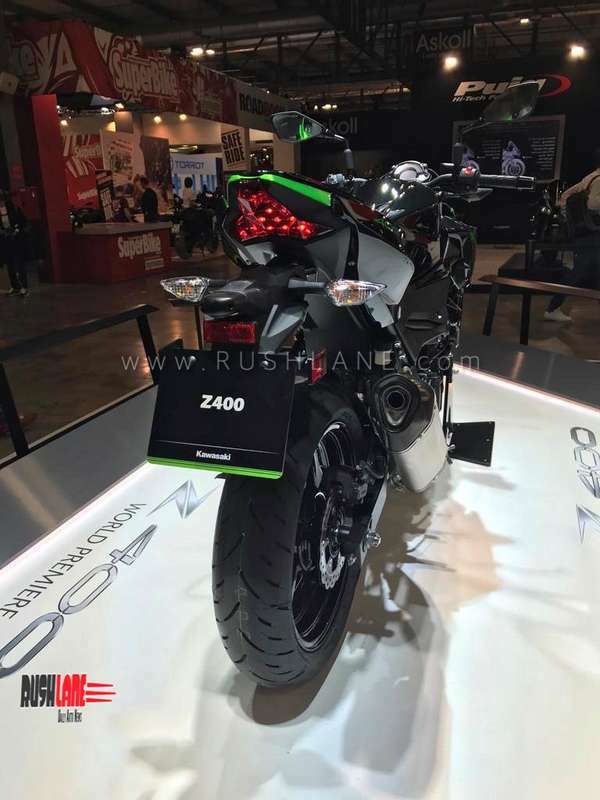 Among these new offerings, is the new Kawasaki Z400 naked roadster which has made its its global debut. 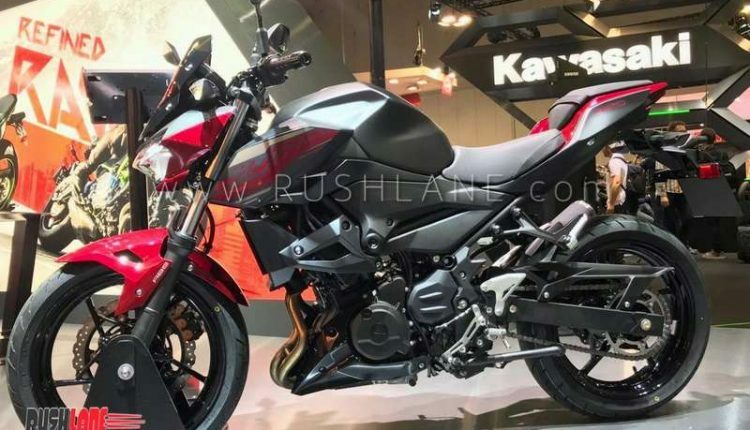 Noted for its distinctive design cues borrowed from the Kawasaki Z1000, the naked bike is all set to be launched in India next year. 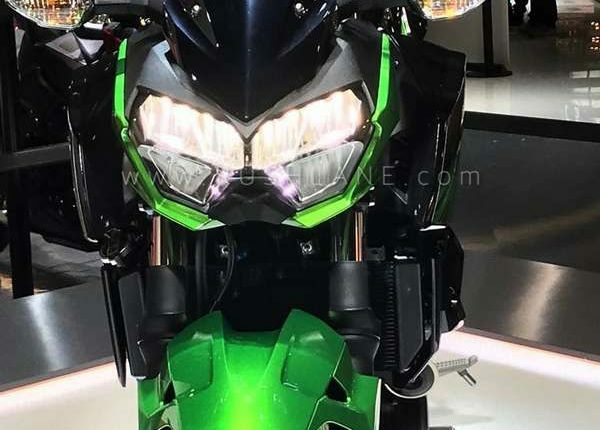 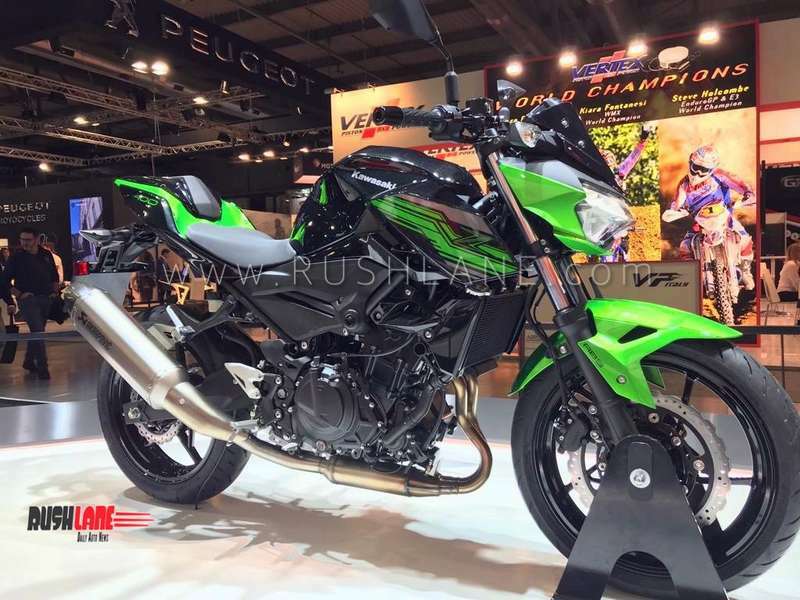 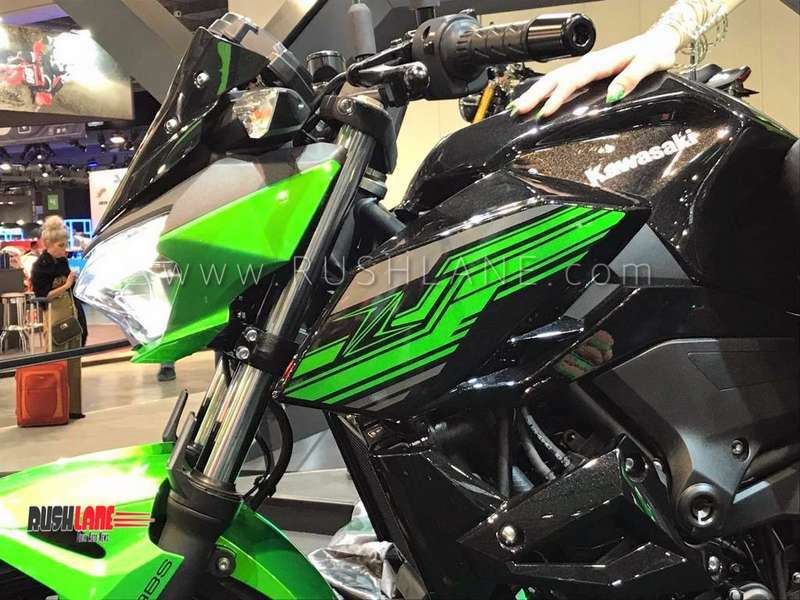 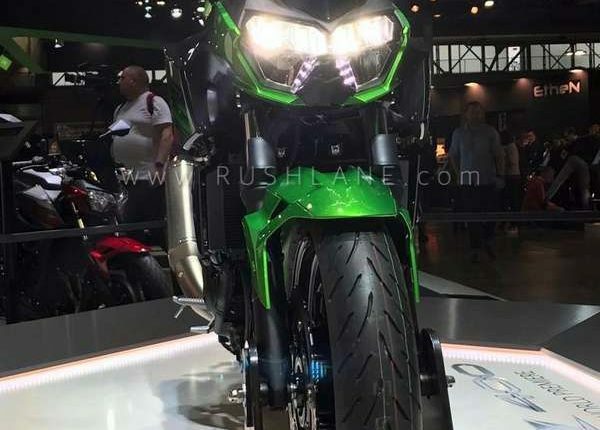 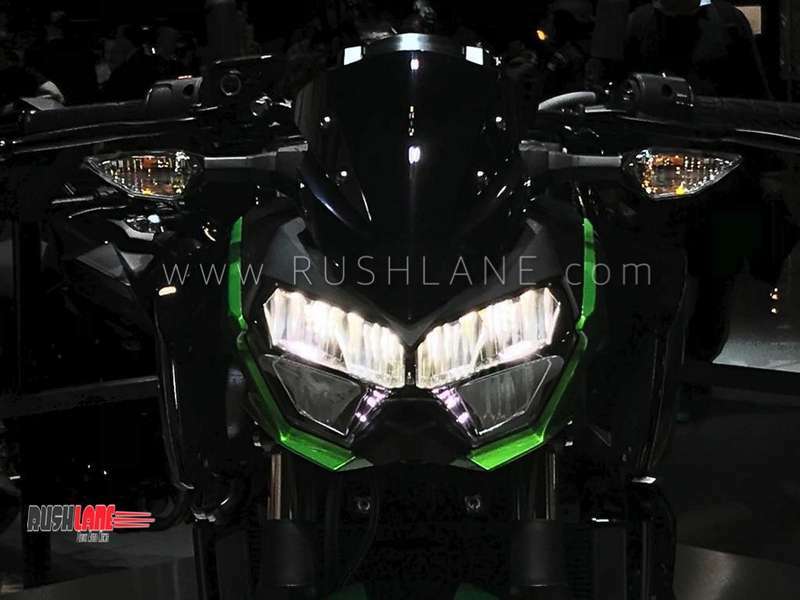 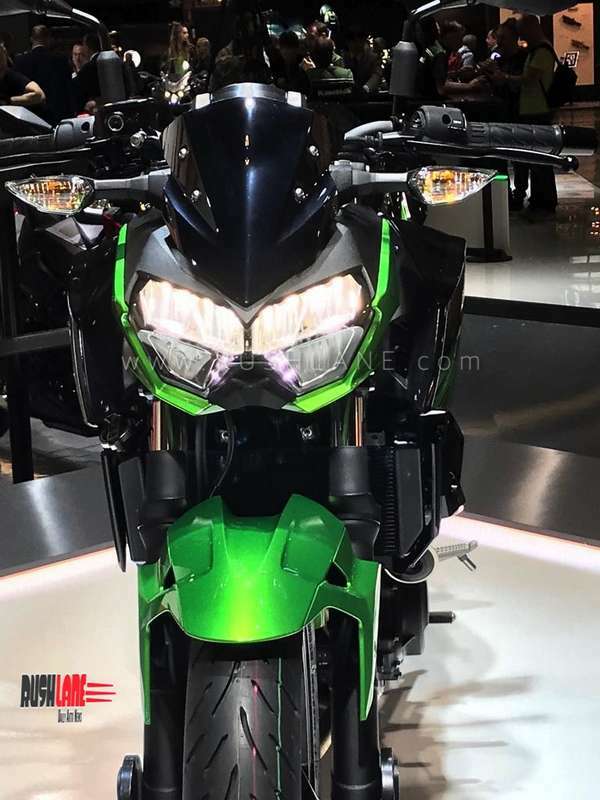 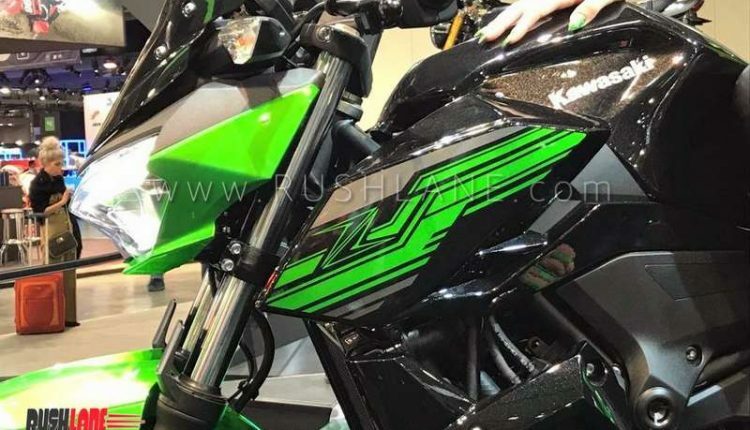 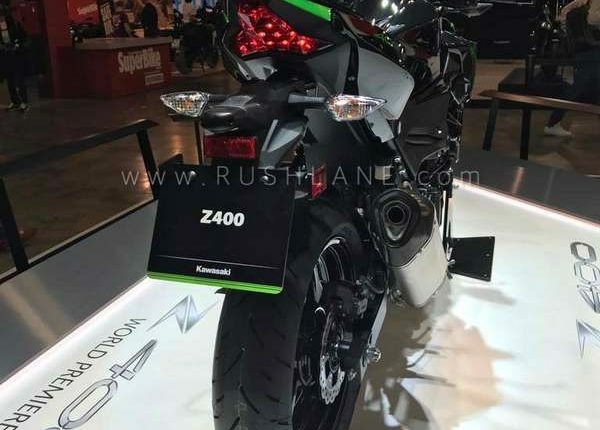 Kawasaki Z400 on display at EICMA will join the other Kawasaki models such as the Z250, Z300, Z650 and the Z1000. 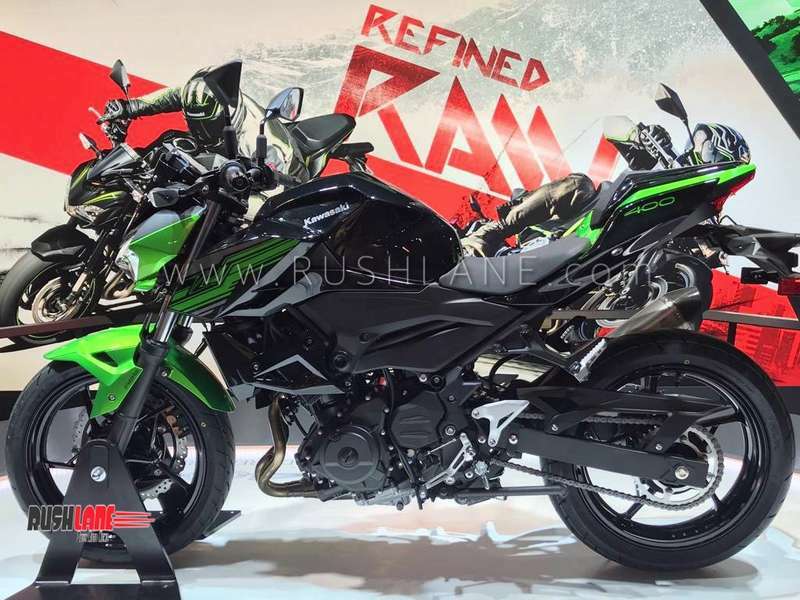 It shares its engine, chassis and mechanics with the Ninja 400. 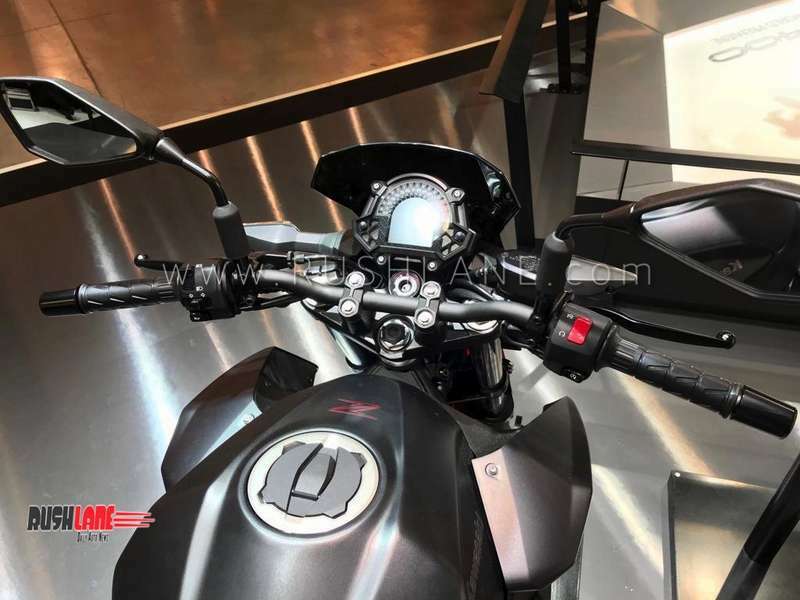 Prior to its global debut, the company has also filed emission documents with the California Air Resource Board. 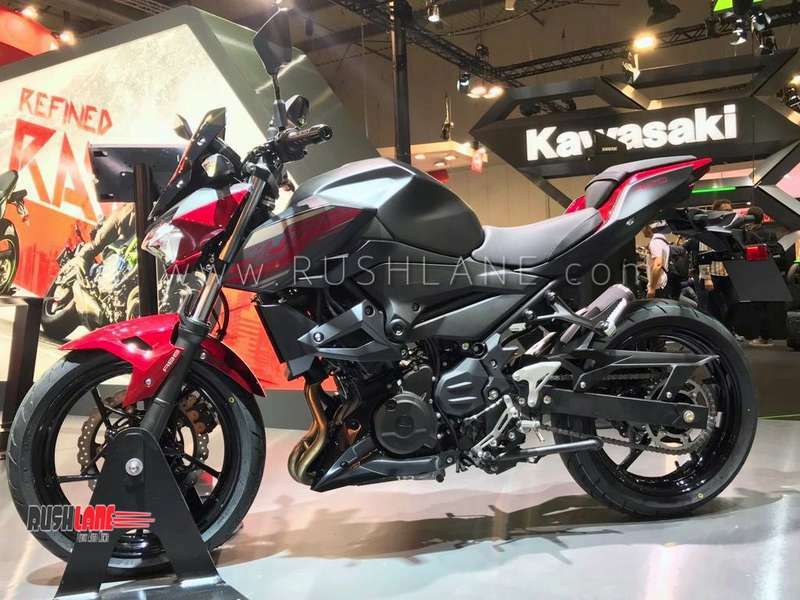 Design inspired by the Kawasaki Z1000, the company’s flagship model, new Z400 sports 17 inch alloy wheels fitted with 110 section front and 150 section rear tubeless tyres, LED headlamps and gets suspension that includes 41mm telescopic front forks and bottom link Uni Trak gas charged mono shocks at the rear along with adjustable preload. 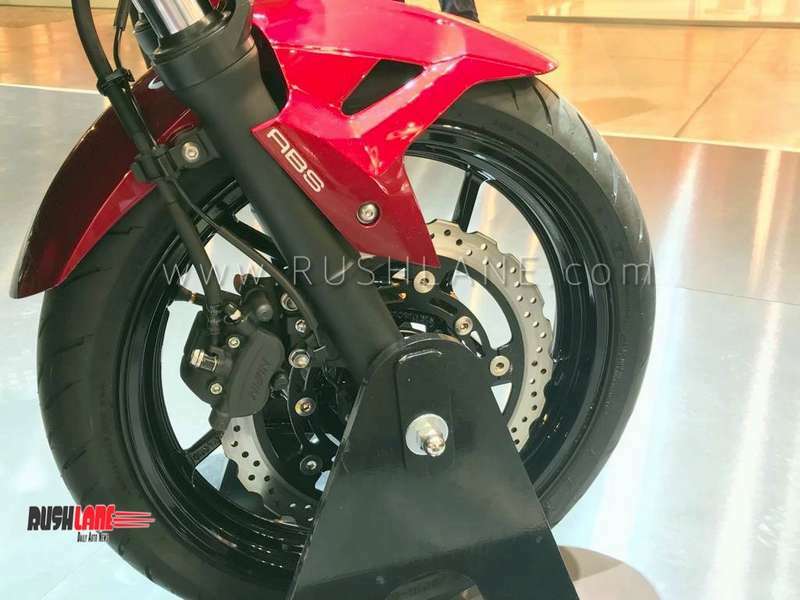 Braking is via 310 mm petal disc in the front and via 220 mm disc at the rear. 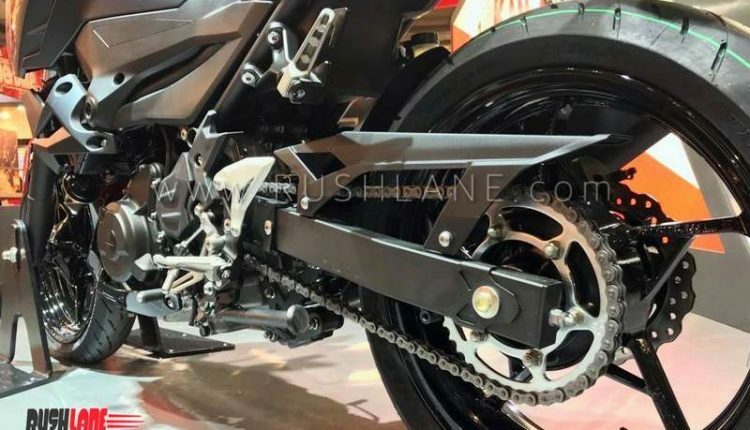 It gets dual channel ABS as standard. 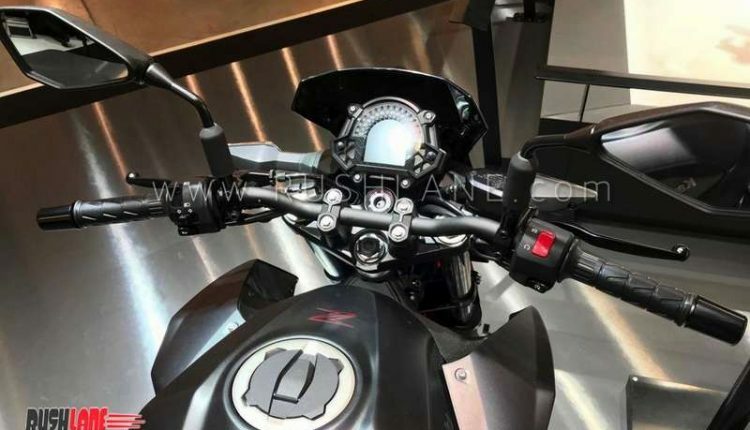 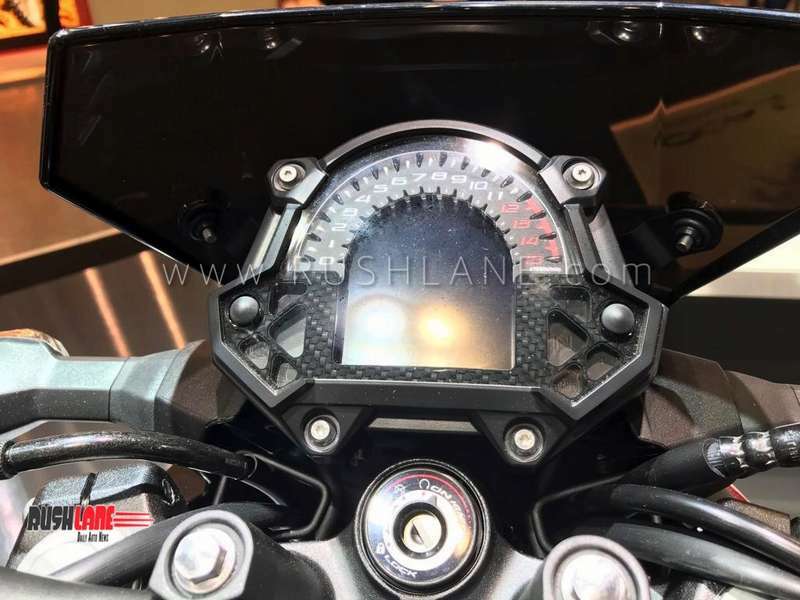 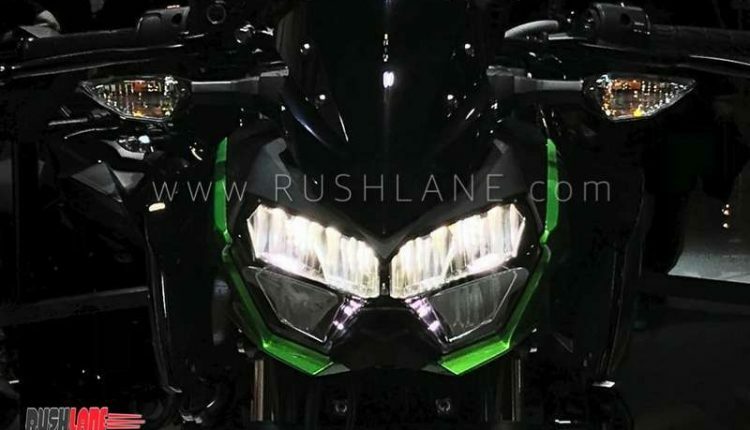 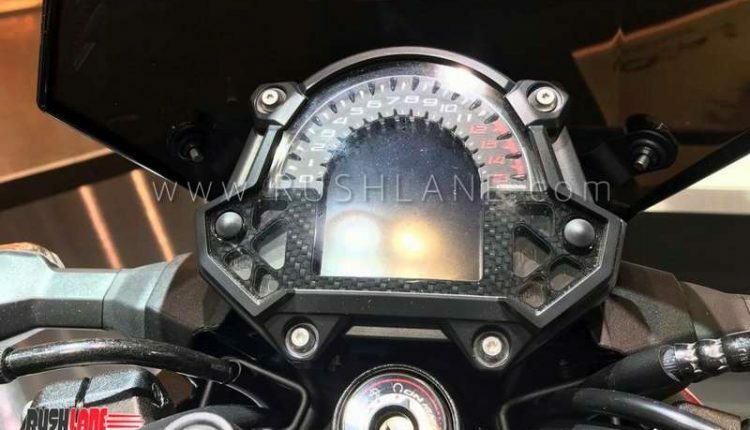 On board features also include a fully digital instrument cluster, single piece handlebar and higher seat position as compared to that seen on the Ninja 400. 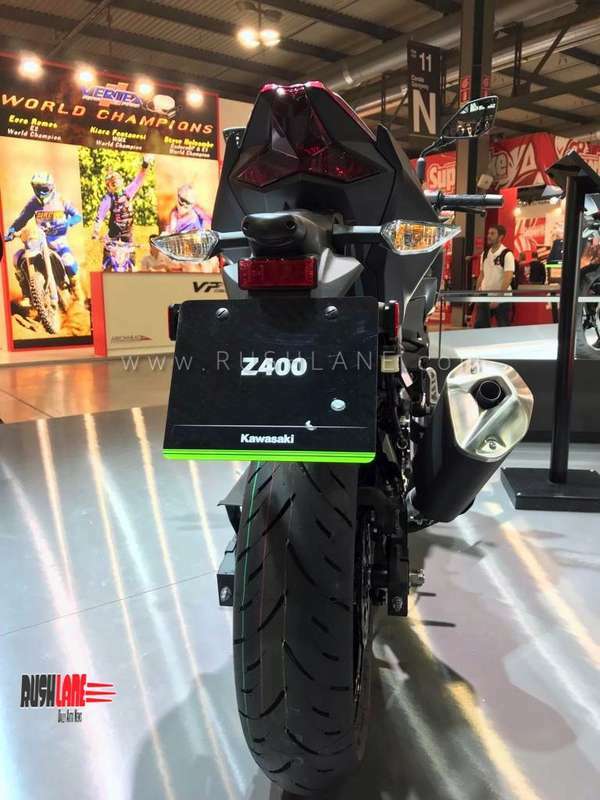 In terms of overall weight, the Kawasaki Z400 weighs around 167 kgs. 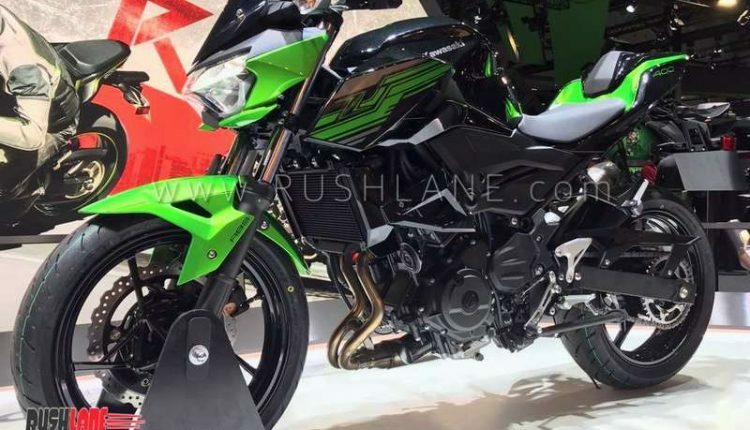 It has a 14 liter fuel tank. 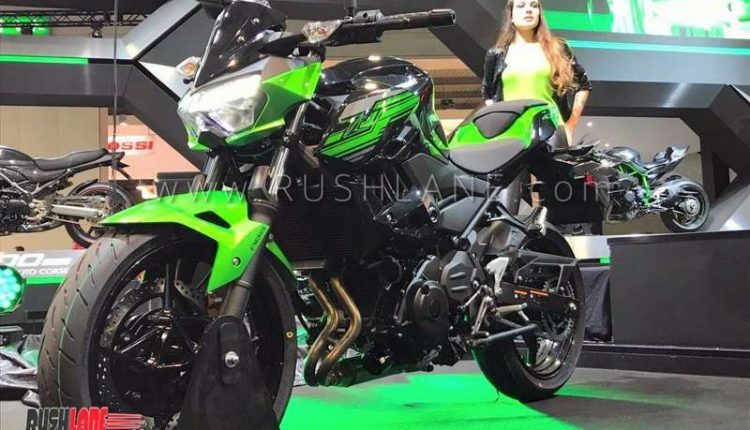 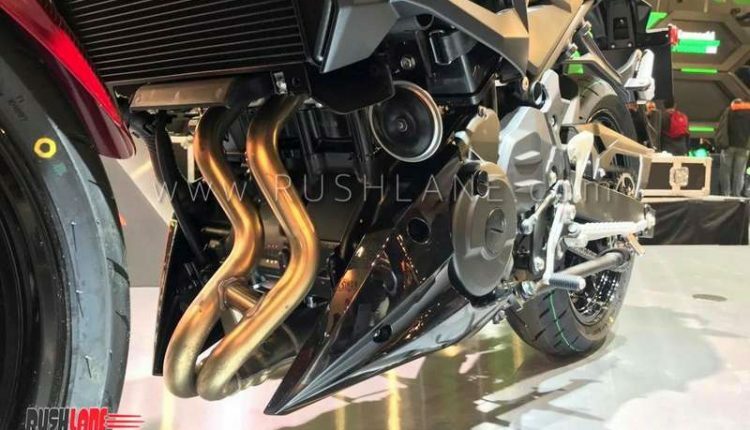 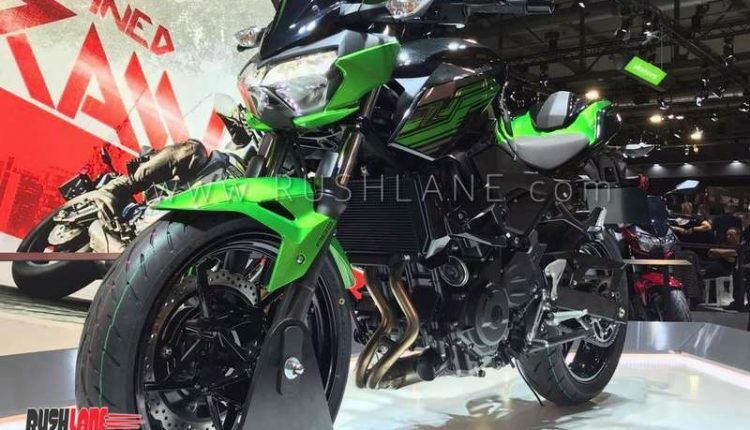 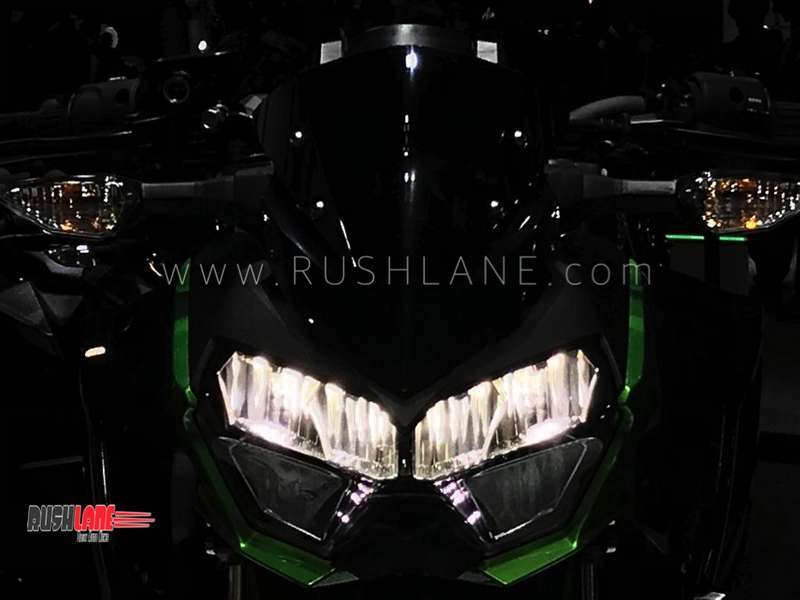 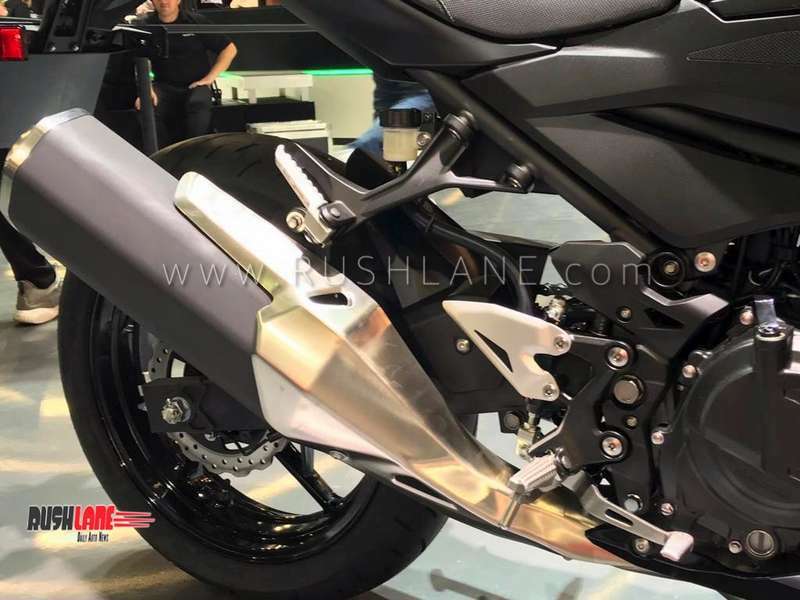 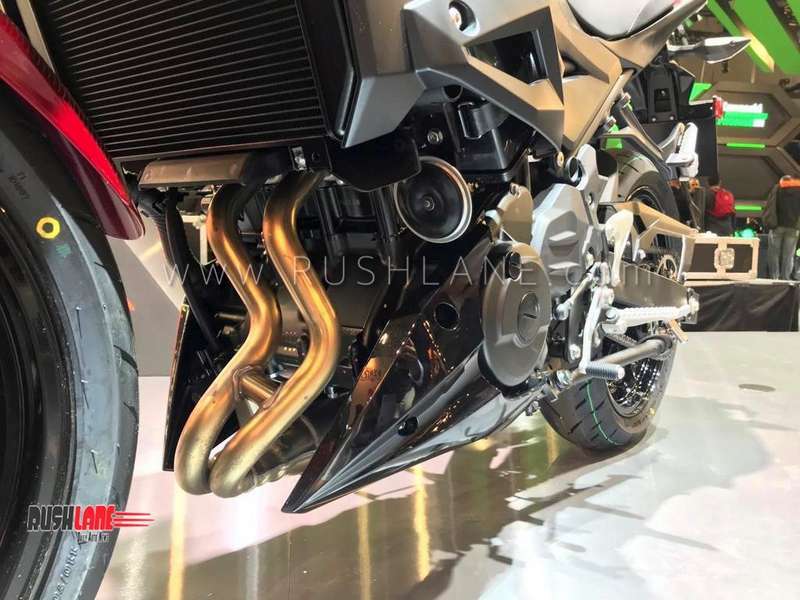 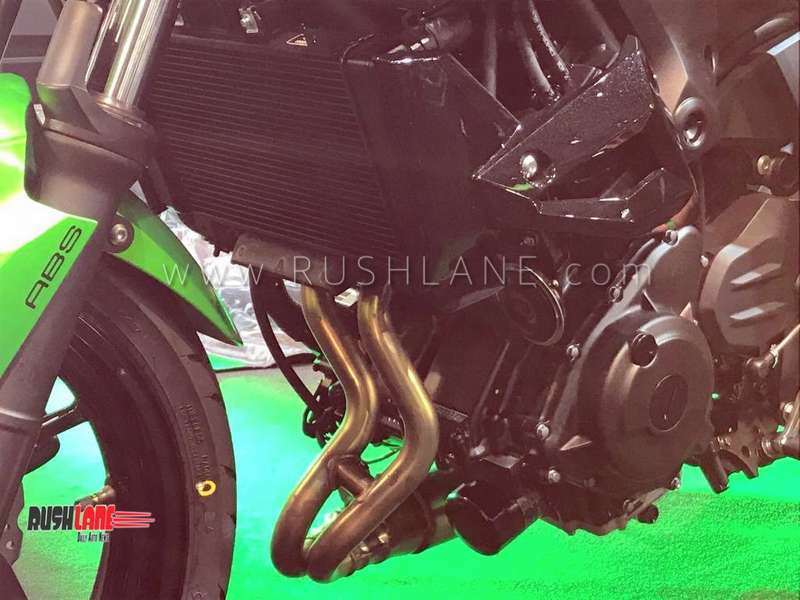 Engine specifications on the Kawasaki Z400 includes a 399cc, 8 valve DOHC, parallel twin engine offering peak power of 45 PS at 10,000 rpm and 38 Nm torque at 8,000 rpm mated to a 6 speed gearbox with slipper clutch offered as standard. 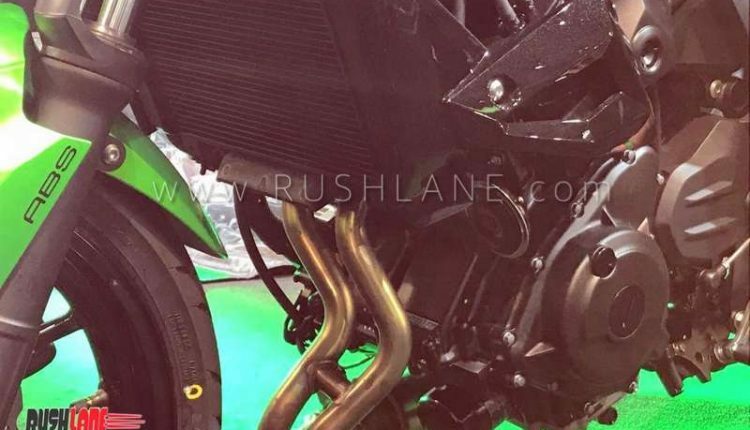 It is 1990 mm long, 800 mm wide, and 1055 mm tall. 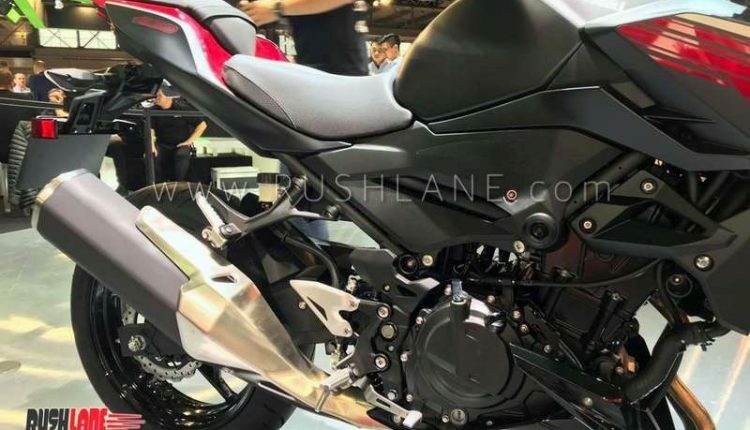 It has a seat height of 785 mm, and wheelbase of 1370 mm. 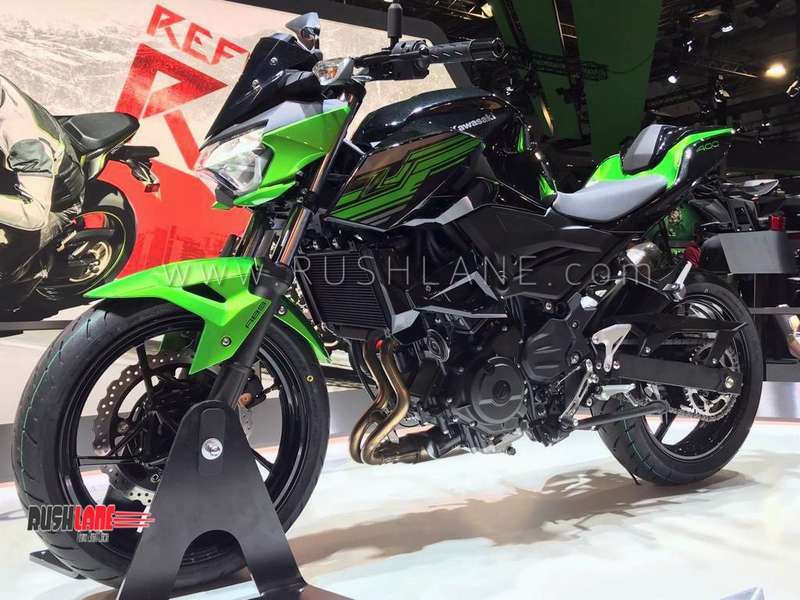 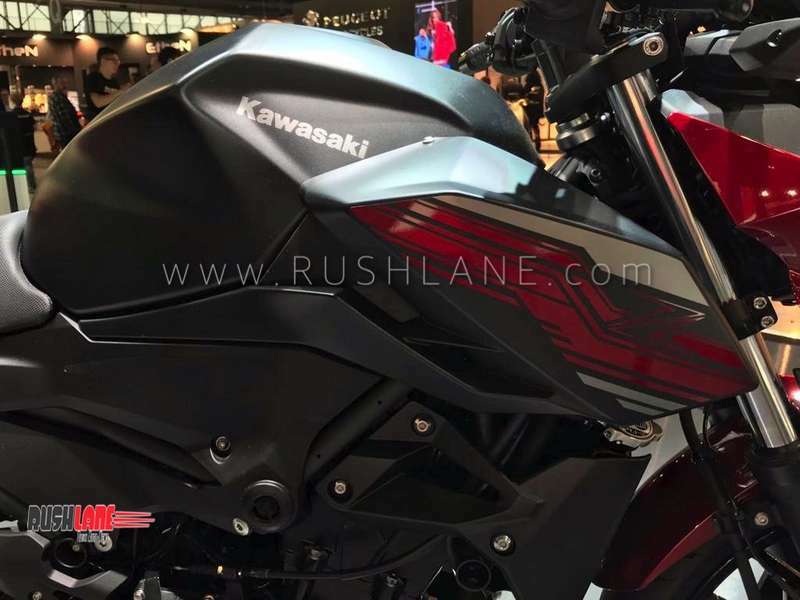 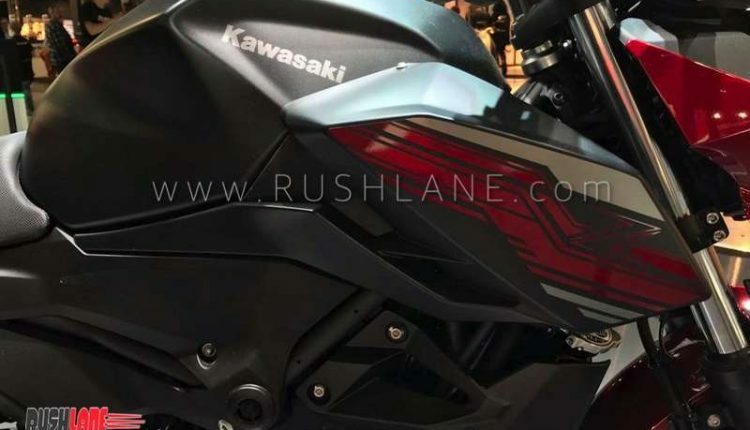 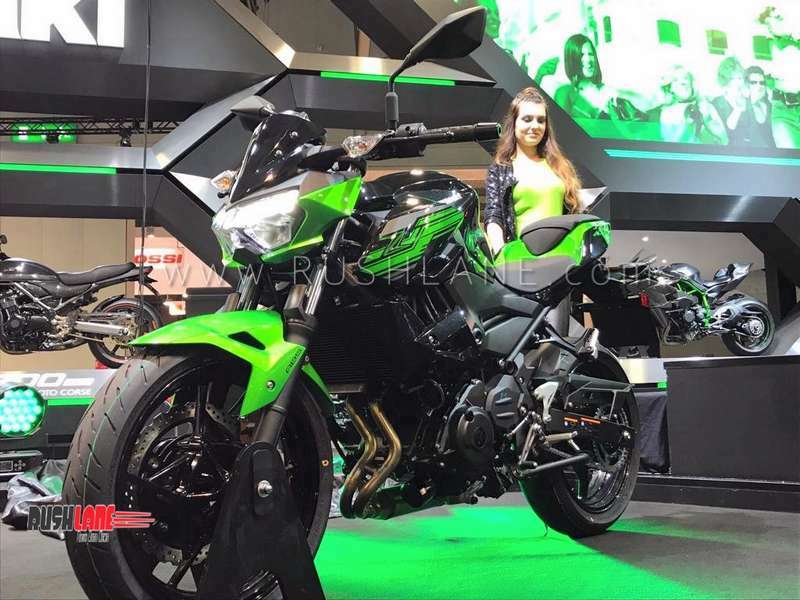 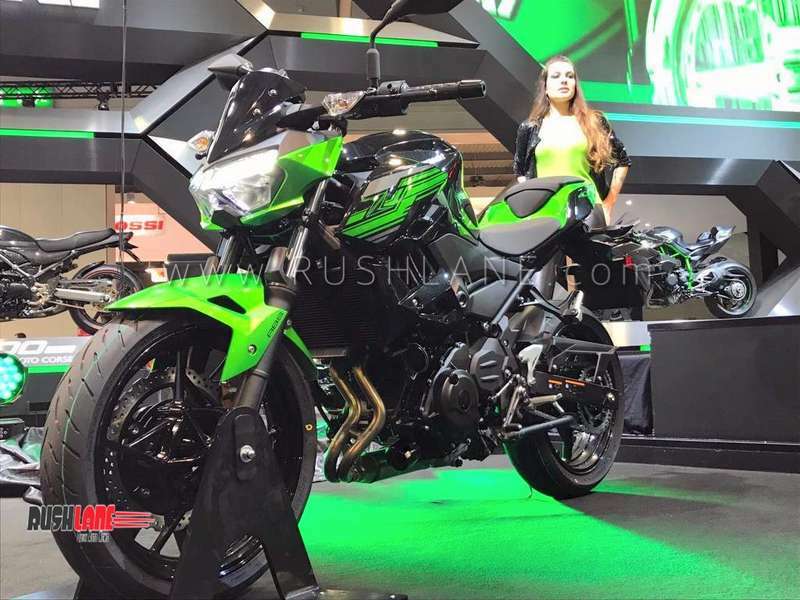 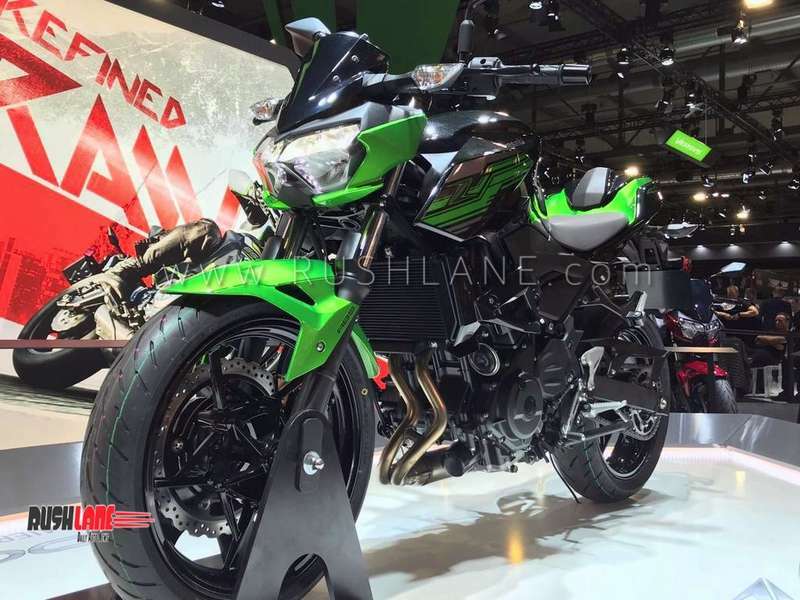 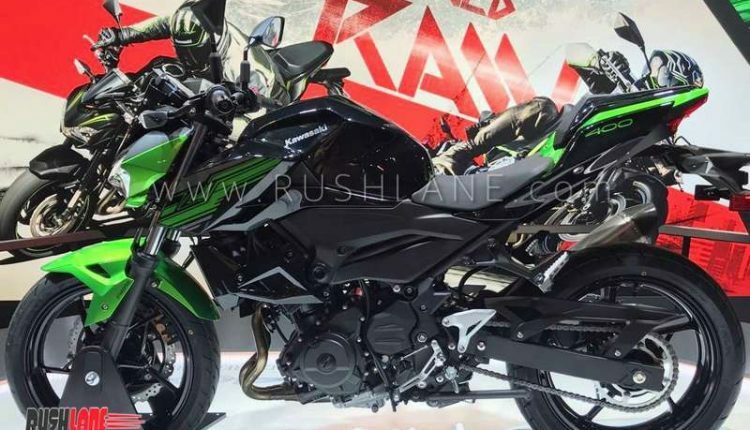 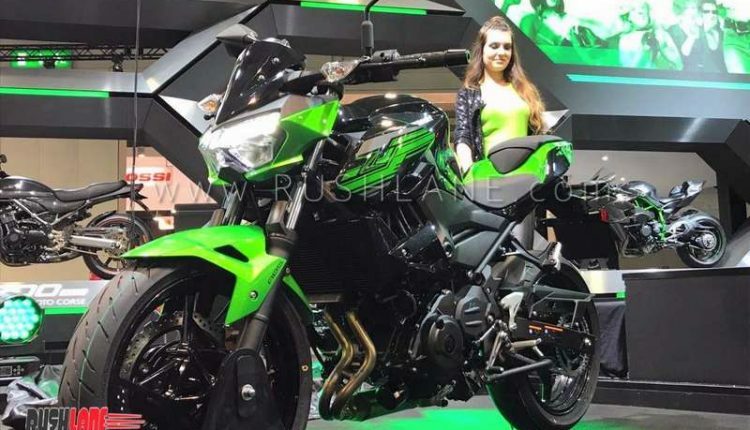 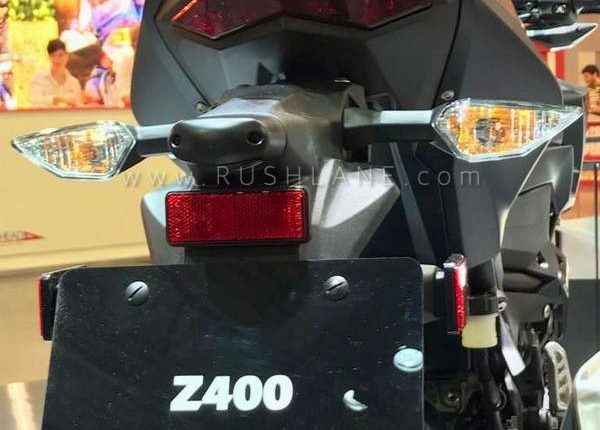 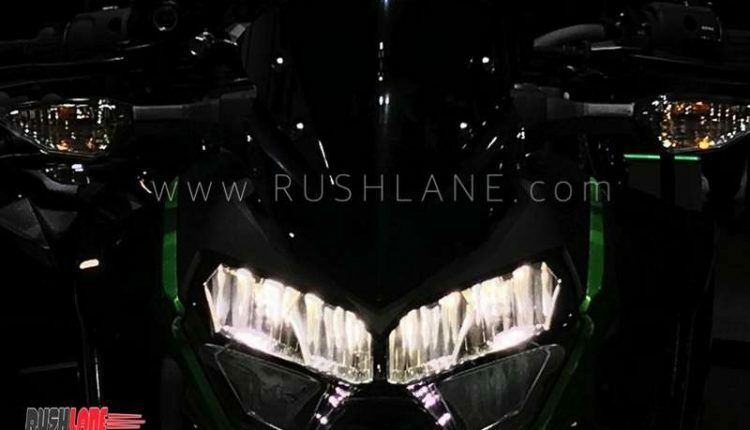 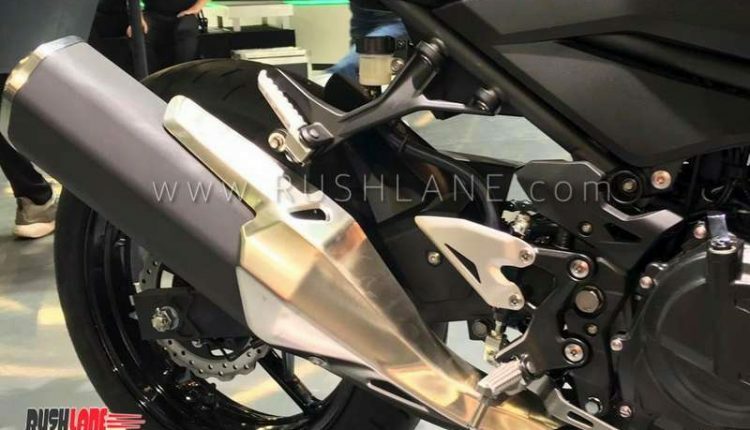 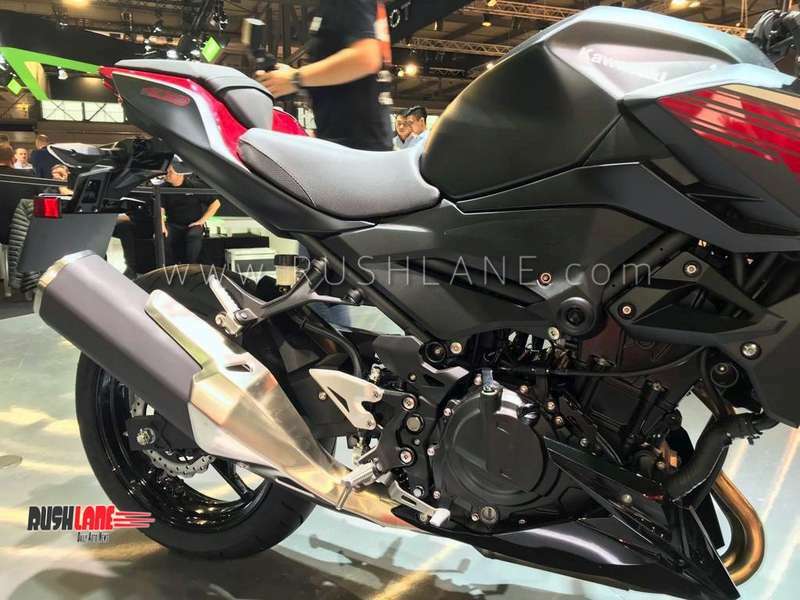 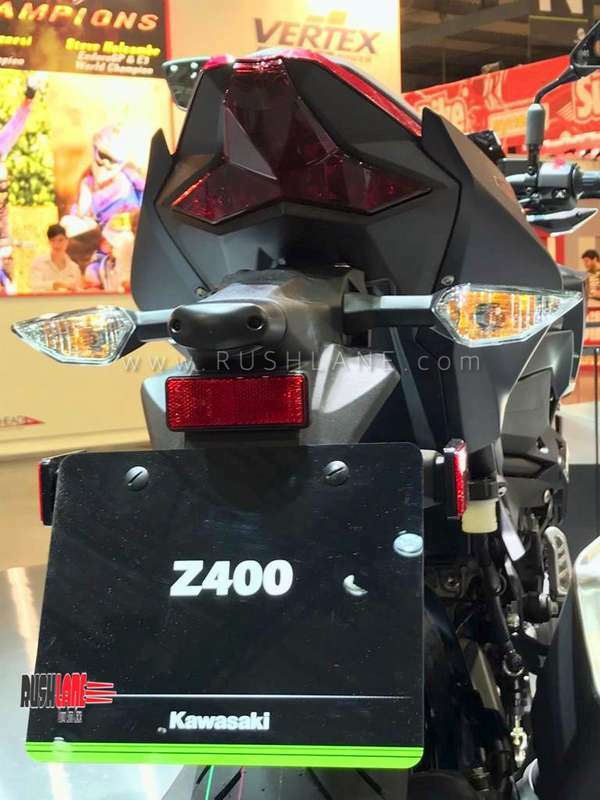 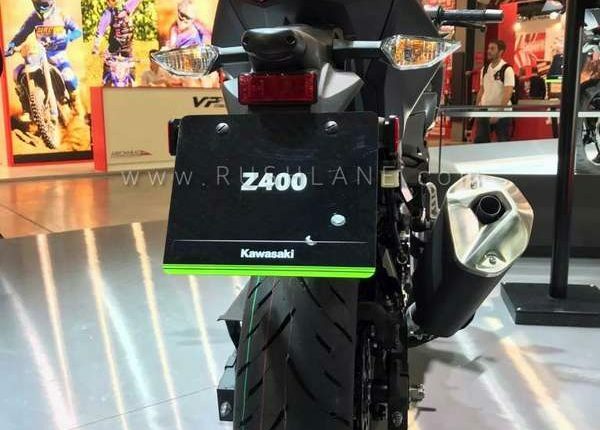 The Kawasaki Z400 is also pegged for launch in India with price set at around Rs 4.5 lakhs. 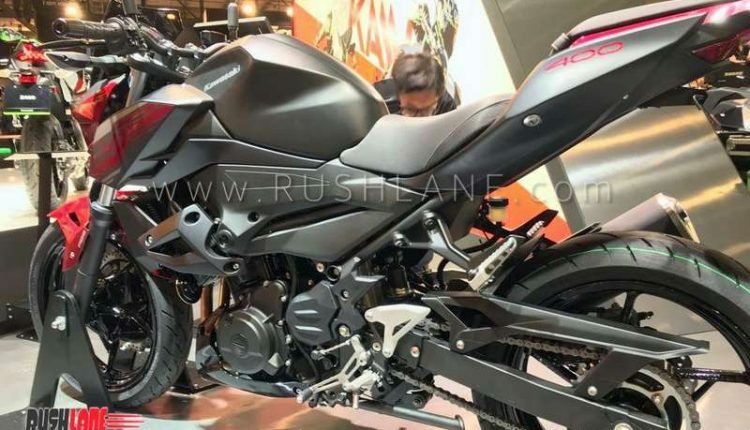 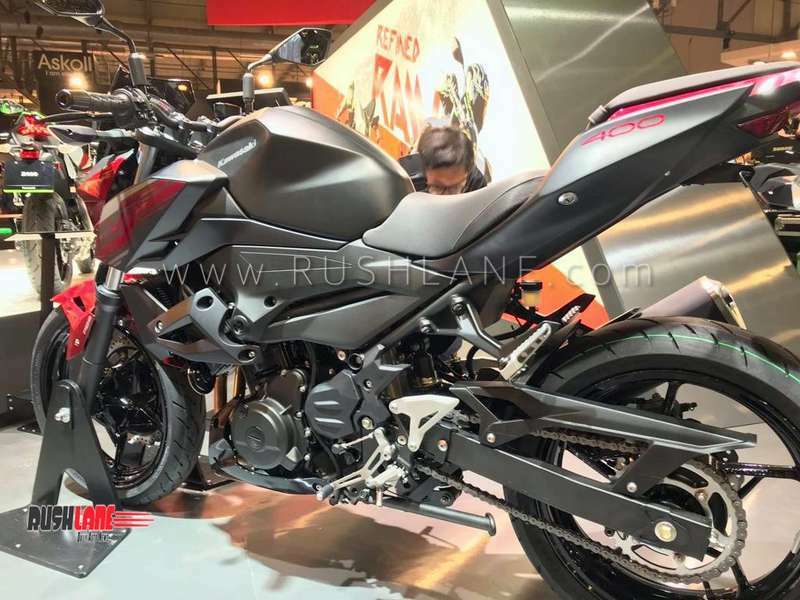 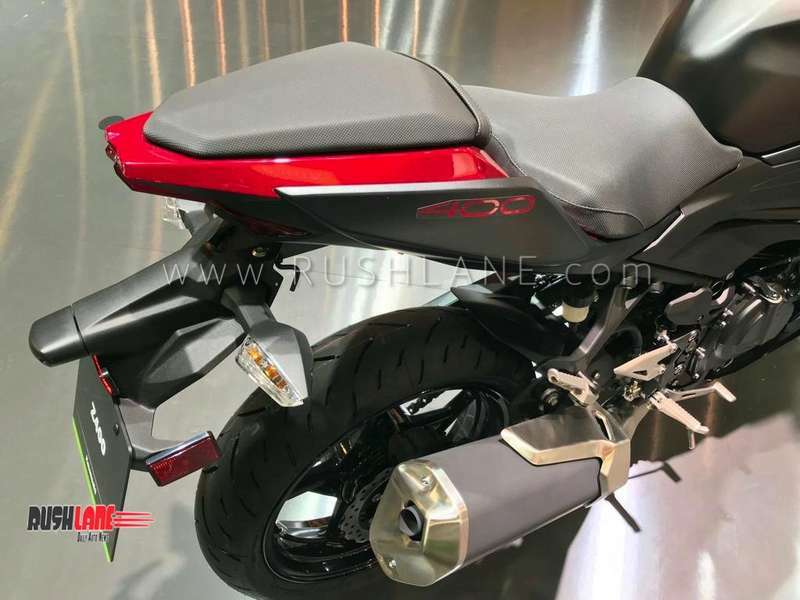 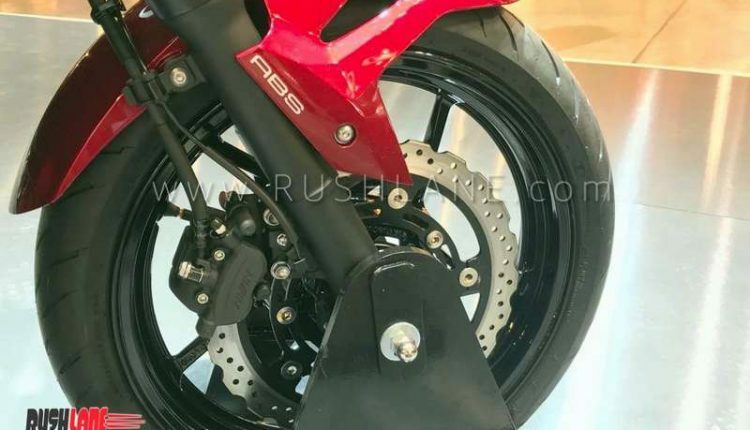 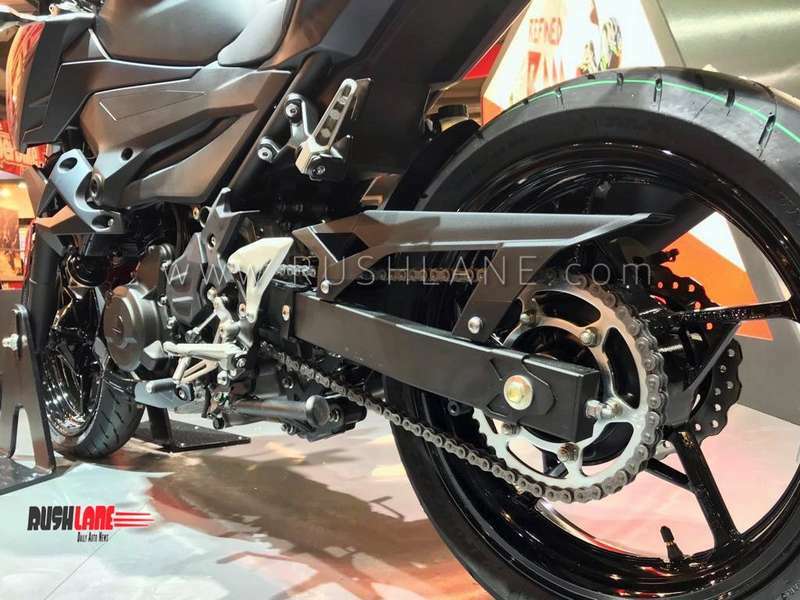 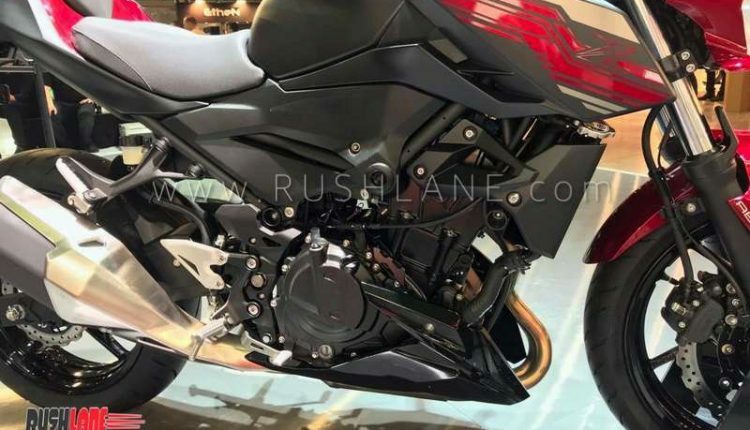 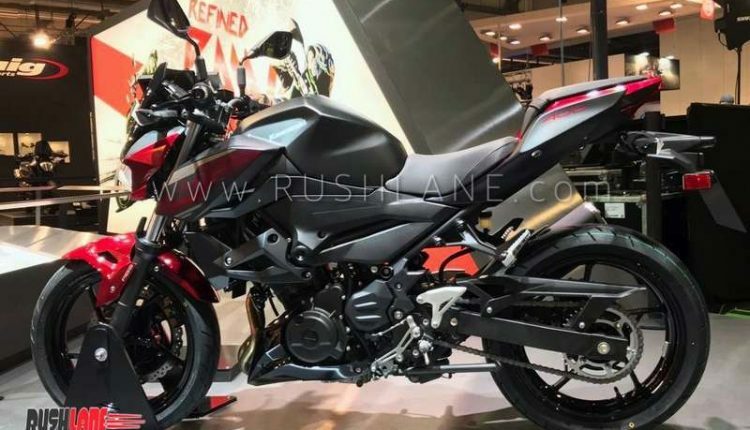 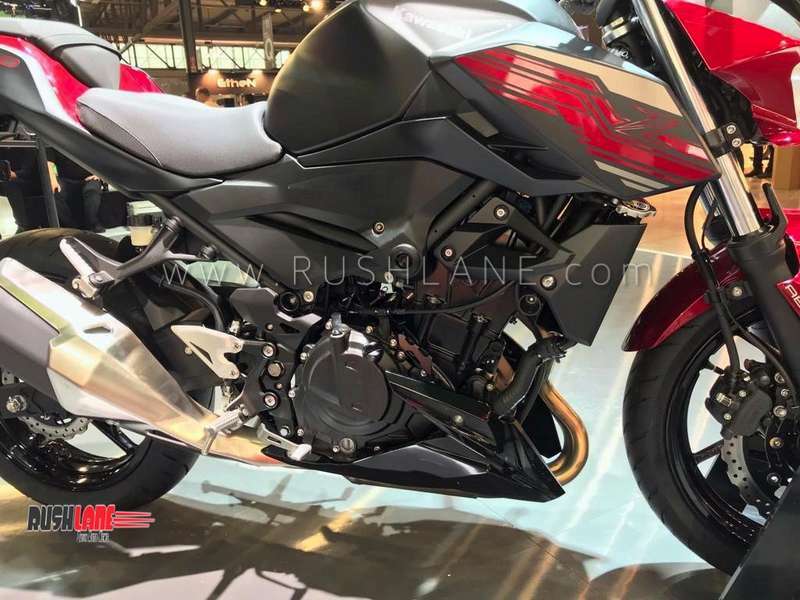 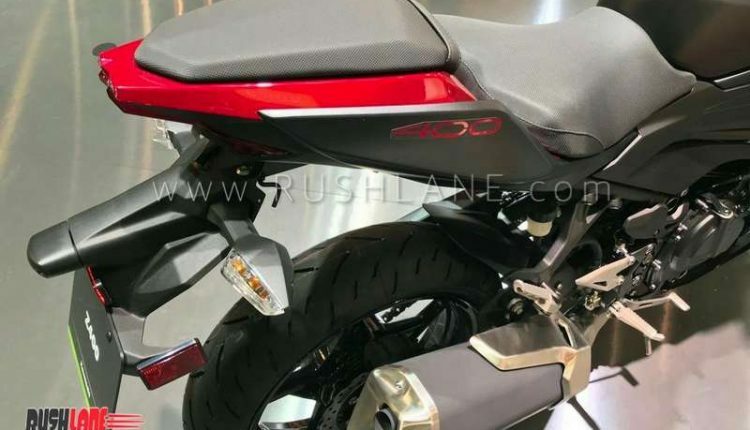 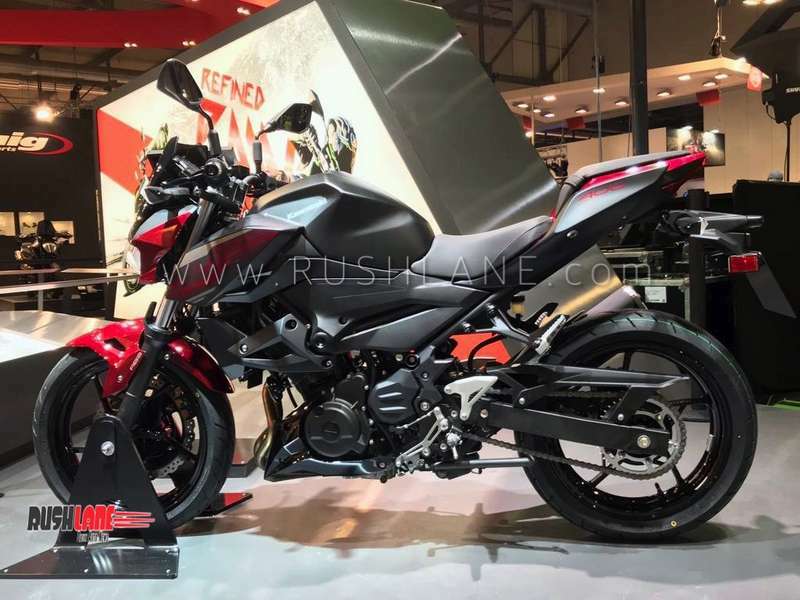 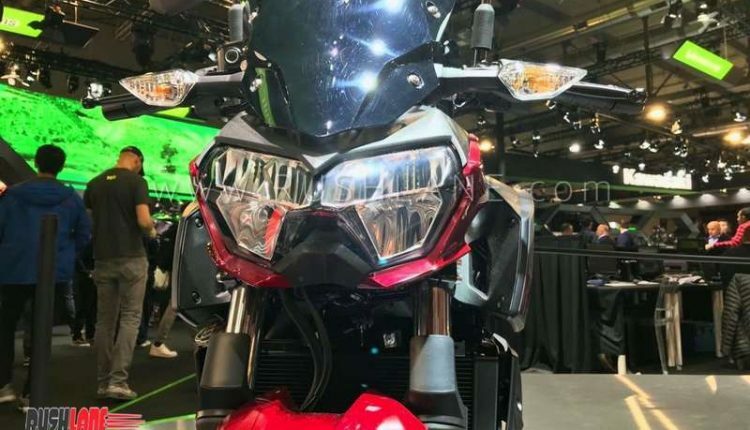 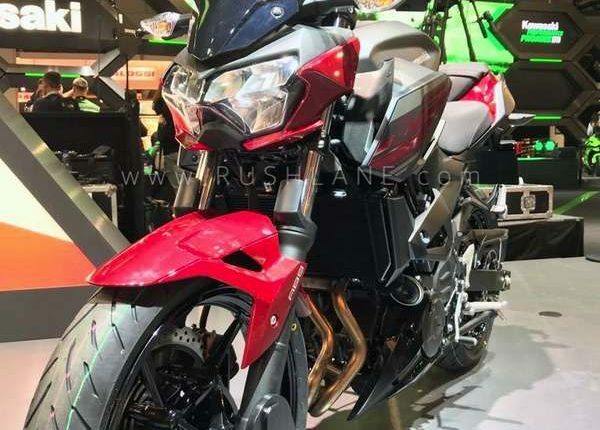 it will be locally assembled in the country and will compete with the likes of BMW G 310 R, KTM 390 Duke and Benelli TNT 300.